Does Increasing My Tax Deductions Lead to an Audit? Deductions that meet the national average are less likely to draw an audit. 1. What Can Make the IRS Audit Your Tax Claim? You want to claim every tax deduction you possibly can, but the last thing anyone wants to see in the mailbox is a dreaded audit notice. If you work hard to increase your tax deductions, you might wonder if by doing so you’re risking an audit. The answer lies not in the amount of your deductions, but in how they compare to others', and whether you can justify them. Luck, or lack of it, also plays a role in whether or not you’re audited. The IRS audits a small portion of the tax returns it receives – an average of only 1.11 percent of returns each year. The higher your income tax bracket, the more likely you’ll be audited. Bloomberg News reported that in 2011 the IRS audited 29.93 percent of returns for people who made over $10 million, and 20.75 percent of returns of those making between $5 million and $10 million. If you made between $200,000 and $500,000, your chances of being audited were only 2.6 percent. 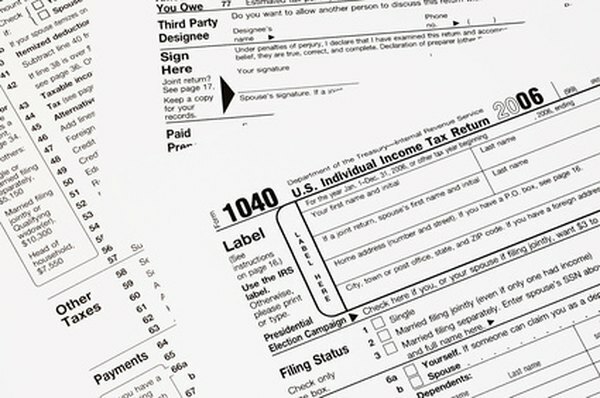 Certain types of deductions are more likely to draw a closer look from the IRS. If you file a Schedule C, which reports income from a business you own, the IRS may take a second look, since this schedule presents a lot of opportunity for people to under-report income or take unwarranted deductions. Large losses from a business, or casualty losses, could attract the attention of an auditor. The IRS computers are programmed to kick out any return that stands out from the crowd, whether due to incorrect math or unusual deductions for your income bracket. Auditors aren’t going to be alarmed by the size of your deductions as much as they are if you take deductions that are much larger than similar deductions made by others in your income bracket. If your deductions for things such as mortgage interest, charitable giving or real estate taxes are considerably more than others in your income group, you might draw the eye of an auditor. Some tax preparation programs and online tax guides will show you the average amounts for different types of deductions so you can compare. Even if you increased the amount you’re deducting this year, as long as you fall near these averages, you have less to worry about. The best defense against an audit is to keep good records and avoid taking any deductions to which you’re not entitled. Read the tax rules and consult a professional if you’re uncertain. Keep receipts and be prepared to defend your deduction. Not taking a legitimate deduction because you fear an audit means you’ll pay more taxes than you’re legally obligated to pay. Forbes: Are You Getting Enough in Tax Deductions? How Soon After You File Will You Know if the IRS Chooses You for an Audit?